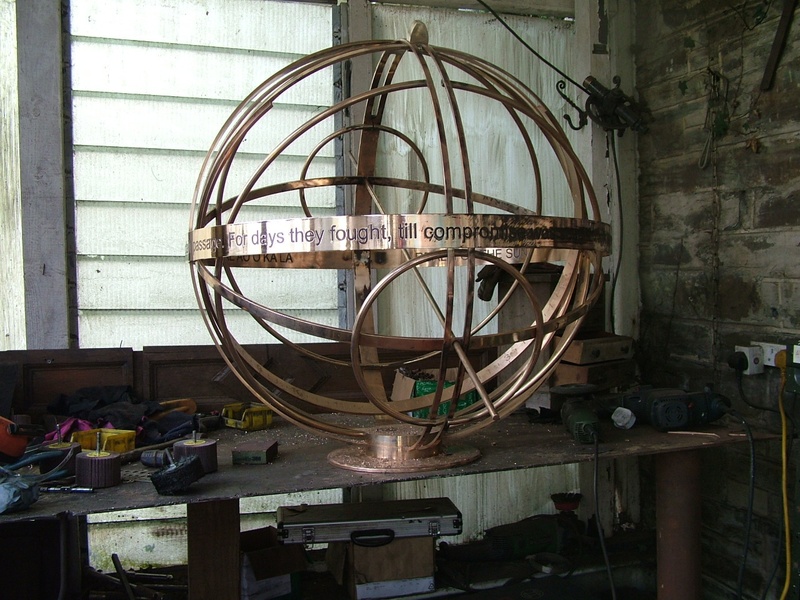 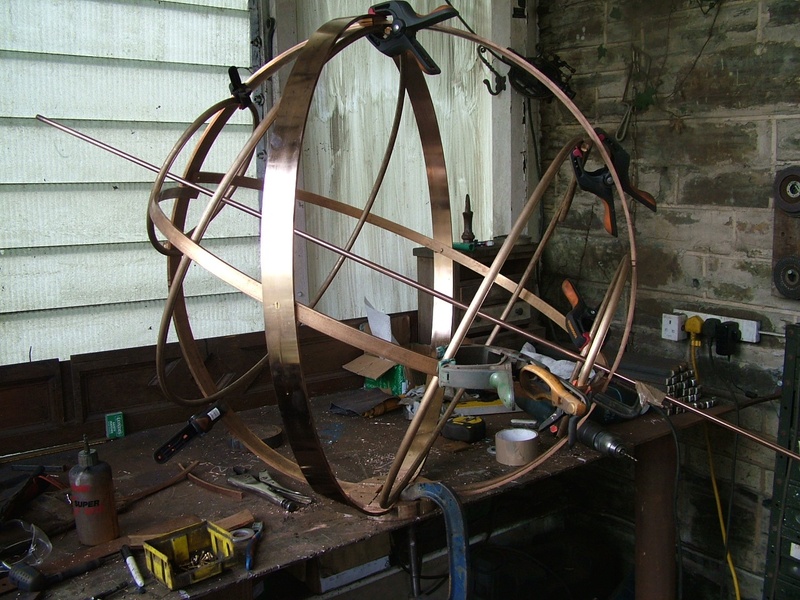 This bronze armillary sundial was crafted by Brad Dillon of Charlestown Sundials in Ladock, England. 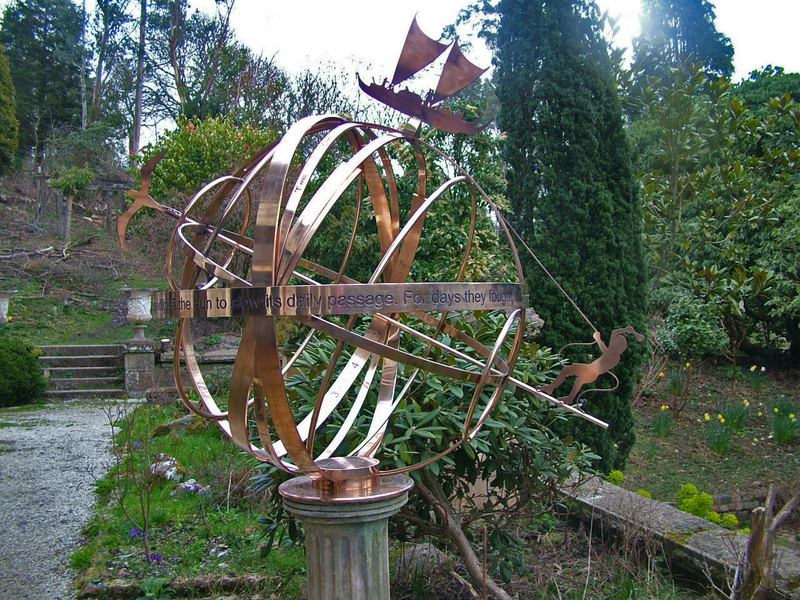 Ke Ao o Ka Lā sundial on temporary display at Brad Dillonʻs garden in Ladock, England. 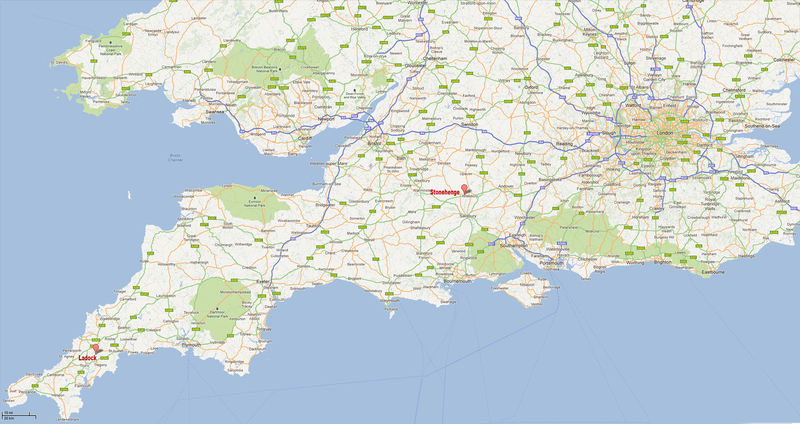 Ladock is located about 150 miles southwest of Stonehenge.